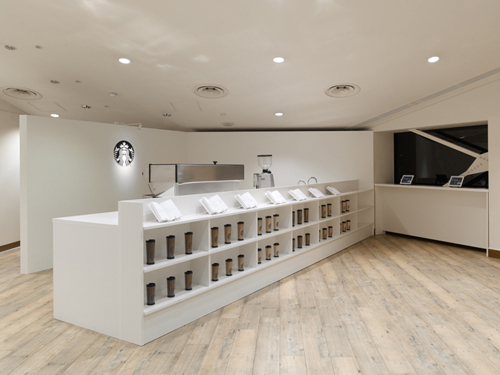 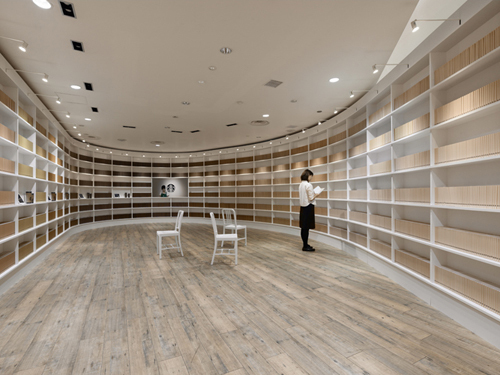 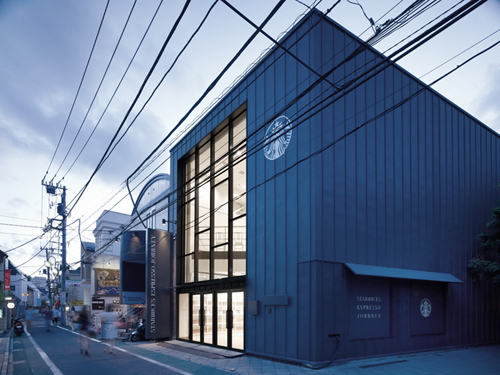 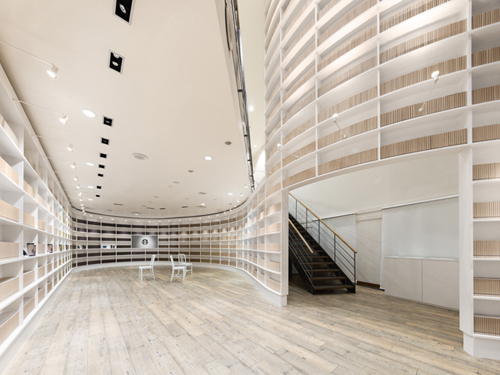 On trendy Omotesando street in Tokyo, Nendo created a pop-up shop dedicated to Starbucks’ espresso drinks with a space designed like a library complete with bookshelves and of course – books. 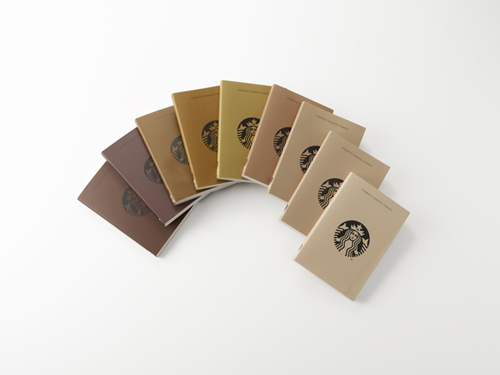 Nine different books, each in a different color representing a different drink ranging from lattes to cappuccinos to cafe mochas, are placed on the shelves. 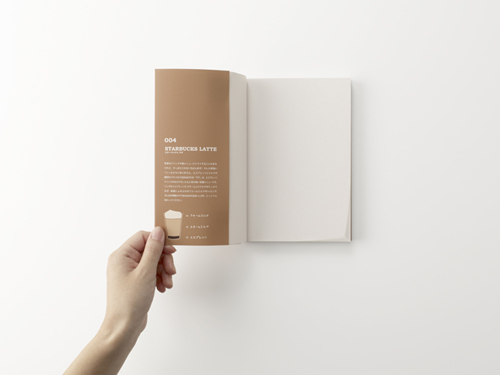 Visitors can pick out the book (and drink) that best suits them and trade it for an espresso drink. 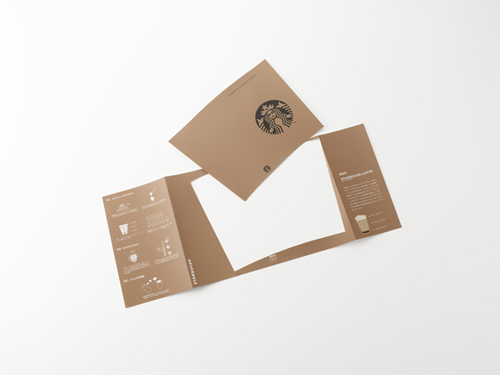 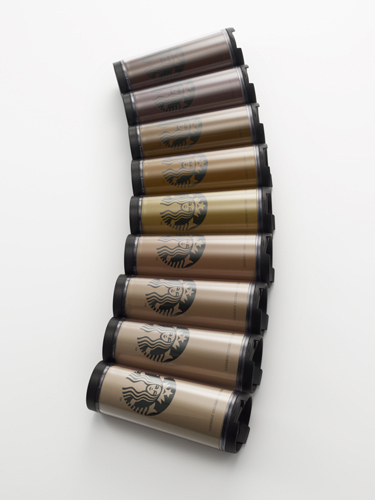 The book cover is also given to the visitor to use either as a book cover, or may be “punched out” into a tall or short-sized tumbler insert for the Starbucks’ Create Your Own Tumbler.